Had to go back to the gym at work instead of running outside, for two reasons. First, my calf still hurts, and second, it was pouring rain. In fact, I had a flight lesson schedule for this morning and it was cancelled. I haven’t had a lesson since March 18. Very frustrating. Nobody to blame except mother nature though. 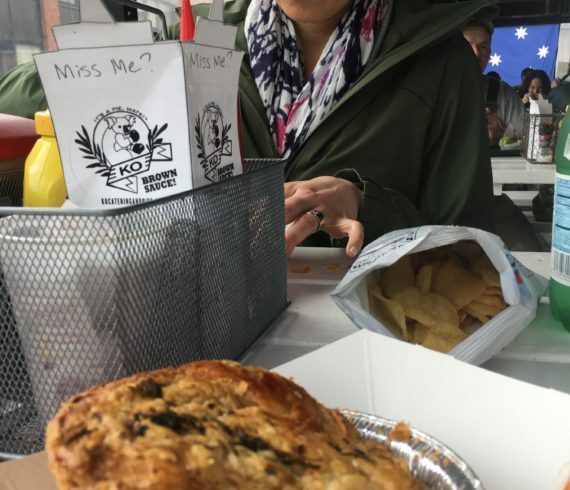 For lunch, Ash and I tried out KO Pies by the Shipyard. It’s a small little place, literally located in a shipyard. I had a chicken tikka and potato pie – it was delicious. After lunch Ash convinced me to go to IKEA to purchase some new chairs for our living room. There was a certain chair we were looking for, but we decided on another type once we got there. We bought two chairs, bright yellow and modern looking. I smoked some sausage from a batch I made a few weeks ago for dinner, and flew a few simulator flights to try and stay fresh with my flying.